What's New and in the Pipeline? Many people have asked me if they could have a Personal Retreat online. At last I have found a way to make it possible—you can now experience a Personal Retreat online! If you are unable, for whatever reason, to come to Andalucia for your retreat experience and if you are able to set aside six or seven days to attend to your personal and spiritual growth and development then consider booking for the online retreat. For more information see Online Personal Retreats. The Sacred Attention Therapy Group Work Manual Just Published! The Sacred Attention Therapy Group Work Manual is a long-awaited response to people who have thought of setting up and running Human Awakening Groups and have not been sure quite how to do it. It is also intended for therapists, group leaders, SAT students, SAT therapists, and anyone who wants to try their hand at setting up and running a therapy group. The manual is the product of Richard Harvey’s 40 years of experience and it offers a unique approach and insights into therapeutic group work. The Sacred Attention Therapy Group Work Manual can be purchased at Books on The Center for Human Awakening website. Richard’s weekly blog contains answers to reader’s questions and responses to themes that arise in psychological and spiritual settings—sessions, groups, and training workshops. We hope you enjoy this new series of blogs and that you may take the time to visit and read the latest blog as well as the blog archive at Blog on the Center for Human Awakening website. You can also visit Richard’s vlog page at Video-Blog on the Center for Human Awakening website. If you want to leave a comment on a video BLOG, you can follow the YouTube link on the video (bottom-right-hand-corner of the video frame) and go to our YouTube channel and leave your comments below the respective video BLOG. For details of Richard Harvey’s schedule for world travel in 2018 offering meetings with small groups, satsangs, and the event The Enlightened Moment see more information here. Sacred truths and authentic spiritual rituals and practices are fading rapidly from our world. The contemporary explosion of interest in spirituality and religion has been exploited and commercialized in this era of individualism and rendered superficial with an emphasis on immediate rewards. The truly spiritual and sacred practices have atrophied to the point of being almost extinguished... unless we act. Your Sacred Calling invites us to take this seriously and become custodians of the future, to re-discover and practice profoundly sacred rituals that will revive and renew sacred-spiritual wisdom. 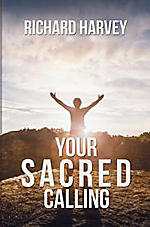 This book encourages and empowers readers to create and refine their own sacred calling. At the end of each chapter is a short summary that reviews the contents of the chapter, followed by questions and exercises to help the reader assimilate the written content into a personal experience through insight and understanding. My intention is that, rather than merely read this book, the reader relates to it interactively, that it will elicit real emotions, insights, and understanding, and provoke a creative response. We are pleased to announce that Richard Harvey has joined the editorial board of the International Journal of Indian Psychology. The Editorial Board is comprised of nationally recognized scholars and researchers in the fields of Psychology, Education, Social Sciences, Home Sciences and related areas under its Editor-in-Chief, Professor Suresh M Makvana, PhD. The International Journal of Indian Psychology is a psychological peer-reviewed, academic electronic and print journal published quarterly (see http://www.ijip.in/). Faculty and advisors/external consultant for the Sacred Attention Therapy (SAT) Online Training have come together to deliver this new and innovative psycho-spiritual training for healing professionals, laypeople, as well as for people serious about their own personal and spiritual growth and development. Applications to join the SAT teaching faculty are invited from students who have successfully completed the course. Effectively, this means to be a tutor for the Sacred Attention Online Training Course: Level One, you must have successfully completed Level One, and so on. Professor of Hinduism at Universidad de los Andes, Merida, Venezuela; twenty-seven years as a devotee of Amma, "the Hugging Saint", author of six books, including the highly acclaimed Rising in Love, has given over 100 workshops and classes on spirituality around the world. Founder/President of Self-Development Wisdom Institutes, Creator of Character-Development Wisdom Education, modern philosopher, author/writer, keynote public inspirational speaker. Almost two years into the Sacred Attention Therapy (SAT) Project, we have a growing number of contributions from an increasingly global Project Team family. Contributions for most SAT core elements have been received and are in various stages of editing for the final manuscript. The Project is looking for multiple contributions for each SAT core element. So if you would like to contribute to this rare, unique and exciting project, please refer to Sacred Attention Therapy Project for more details and then contact the Coordinating Editor at info@sacredattentiontherapy.com. Last month Richard launched the Sacred Attention Therapy (SAT) Online Training Course. SAT Online Training is a radical, innovative, psycho-spiritual therapy training for healing professionals, laypeople, as well as for people who are serious about their own personal and spiritual growth and development, consisting of four levels of teaching. See See Sacred Attention Therapy Training Course for all the details. Each level of the course consists of twelve modules. Each module contains approximately 90 minutes of audiovisual presentation, split up into presentations lasting between 10-45 minutes each. Each module also includes a supporting document which contains the course contents and summary, notes and references, contemplative questions, a section on working with clients, exercises—both written and experiential—an extended case study covering the Seven Core Elements of Sacred Attention Therapy, and a bibliography with notes and guidance. The recommended time to complete each level of the course is one year, although with enthusiasm and commitment it is possible to complete it sooner. On completion of levels 1-3 you may apply for formal certification or a certificate of course completion. On completion of level 4 students may apply for the Diploma in Sacred Attention Therapy. A brief summary of each Level of training is provided below. After reviewing the material below, if you have any questions, please email us at info@sacredattentiontherapy.com for more information. Up to and including working with the later, more advanced stages of inner work on personality and character or the First Stage of Awakening, described in Richard Harvey's book Your Essential Self (YES) as the Process of Self-Discovery (see YES pp.19-114). Level One training includes a module on each of the Seven Core Elements of Sacred Attention Therapy. Go to http://www.sacredattentiontherapy.com/SAT-Online-Training-Level-1.html for a detailed description and outline of Level One training. From forgiveness and wholeness, the penultimate and final stages of inner work on personality and character, crossing the Threshold of Transformation, and the initiatory preparations for the Second Stage of Awakening (see YES pp.114-156). On completion of the SAT Online Training Course: Level One, students will have the option of submitting written material, including a major essay, and participating in an experiential assessment (via Skype) to be evaluated for SAT Level One Certification. Alternatively, students may apply for a certificate of course completion or simply enjoy the training without either. A similar process applies to levels two and three of the course. Students who complete all four levels of the training can apply to be awarded the Diploma in Sacred Attention Therapy (Dip SAT). Our long-term vision is to have a recognized, accredited, degree-granting institution issue the SAT diploma. Who is the SAT Online Training Course For? The course is open to psychotherapists, counselors, complementary-alternative medicine practitioners, healers, mentors, and guides, as well as to people who are serious about their own personal and spiritual growth and development. You may take the training in order to become a SAT therapist with formal certification or to add SAT to your existing skills and knowledge base if you are already a practicing therapist or counselor. Finally, you may take the course to further your own self-development and awareness. In April Richard will be traveling to the UK to present a workshop in Cambridge entitled Finding Your Essential Self. Thierry Clerc who is a collaborator in the Sacred Attention Therapy Project (see www.sacredattentiontherapy.com) will be hosting the event on 5 April, 10am to 6pm. The day workshop costs £75 and you can book your place soon at http://www.therapyandspirituality.com/courses.html. If you would like to host an event for Richard in the UK during April or would like to attend an event in a different part of the country, please let us know or see our calendar of workshops and courses for further announcements of dates and venues. The Hsüan-Hsüeh Discourses mark a departure from the usual presentation of lectures. Each of the five talks takes as its starting point a Taoist story, relates it to a passage from a different spiritual tradition, and resolves the themes in highlighting an aspect of The Three Stages of Awakening. The titles (with dates) are Penetrating Wisdom 12 Feb, Transcending Separation 26 Feb, Locating Destiny 12 Mar, Spiritual Baptism 26 Mar, and The Ocean of Stillness 09 Apr. For information and booking see the Hsüan-Hsüeh Discourses. For the background to the course read “A Glimpse of the Divine”. A new collection of talks in e-book form will be published in February 2014. Moksha Dawn includes the last two series of Richard’s online lectures—the “Silent Thunder Discourses” and the “Novena Teachings”—fourteen discourses in all. In addition there will be an introduction by Richard, a foreword by Rev Robert Meagher, notes and references, appendices and an index. Moksha Dawn is a companion volume to Dharma Sky which was published in November 2013. The first in a series of three e-books, it features fourteen lectures and the full transcripts of Richard’s lecture series the “Sashti Poorthi Lectures” and the “Panchavati Discourses.” Richard has in preparation a trilogy of e-books based on his online lecture series 2012-2015. The title of the third book is The Ocean of Consciousness and it features transcripts of the forthcoming “Hsüan-Hsüeh Discourses” which begin in February 2014 (see above). Richard’s latest article Before You Were Born and After You Die brings you bang-up-to-date with his thinking, work, and current and future projects. If after reading it you would like more information, direction, and references, please send a message via the contact form on this site for the annotated version. 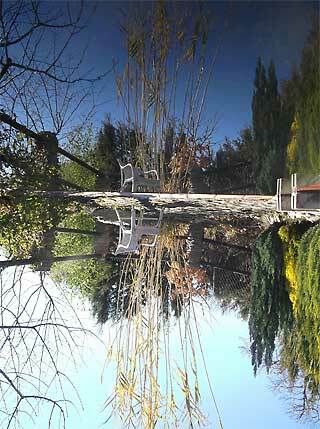 A new website has been built to showcase Sacred Attention Therapy (SAT). SAT is born from the life-long work of Richard Harvey, spiritual teacher and psycho-spiritual psychotherapist. Richard’s ground-breaking-approach to depth-psychotherapy is called SAT and is based on his 3-stage model of human awakening. On the SAT website you will find information about this new paradigm of psychological and spiritual growth and development. The website also will provide you with information about educational opportunities, books, articles and much more. The resultant work will be indispensable for professional practitioners and lay counselors, and anyone else interested in inner work, counseling, therapy, or spiritual growth. For more information about SAT and the SAT Project, including expressing your interest in the SAT Project, refer to www.sacredattentiontherapy.com or write to info@sacredattentiontherapy.com. Richard: “I am hot at work on my new book, which is a follow up to Your Essential Self. The title is Your Sacred Calling and it comprises the second in a trilogy of books that culminate with Your Divine Being. It is about saving and preserving the sacred principles for leading a truly spiritual life and the way to emotional and spiritual freedom. The book proposes that we are really custodians of the future, entrusted to guard, protect, and treasure the sacred spiritual truths in order to live from our heart, soul, and spirit. The book dismisses, refutes, and argues against popularly conceived ideas about spirituality and proposes that people are in the dark about real spirituality and what it means and religious and spiritual “secrets” are on the brink of being entirely buried in the avalanche of “thin” spiritual ideas with mass appeal. Innovative ideas—philosophy and practices—are offered in heartfelt response to the critical challenge that I believe we face today: the three stages of awakening, the need to work psychologically in preparation for spiritual discipline, grounded spirituality, the middle stage of authenticity, the Three Worlds, heart-centeredness, the Philozovo (love of the divine call), the relationship of eternity to time, the Free Individual, as well as others, either innovative/new or restated, in a relevant way for the modern era. For further announcements about Your Sacred Calling see books on this site. Thank you for all your wonderful support for Your Essential Self. Also for the messages I am receiving daily in appreciation of how the book has affected you and supported and inspired you on your journey. I think you will be inspired just as much by Your Sacred Calling. My hope is that I will place it with my present publisher, Llewellyn Worldwide. Your help is appreciated in enabling this. Buying a second (or third?) copy of Your Essential Self as a gift for a friend will ensure that Llewellyn take the publishing of the entire trilogy (Your Essential Self, Your Sacred Calling, and Your Divine Being) seriously. Please join me also on my social media and invite your friends too. There is currently a mass of articles, Q and A, and other writings and excerpts on the website to read absolutely free, which along with Dharma Sky or Your Essential Self serve as an introduction to my work. In March and April 2014 the Annual Sacred Attention Training Week takes place at Cortijo Llano de Manzano Personal and Spiritual Growth Center, the home of Therapy & Spirituality. Full details are at sacred attention training course. To those of you who have said you would dearly love to participate but are prevented through location, schedule, and responsibilities there is good news! This month Robert Meagher and myself have begun planning the structure of a SAT online training. Tentatively targeting the work for completion by the end of the year, we hope to have something up and running by winter 2014/2015. The SAT online training will consist of a curriculum of video lectures, seminar and group time, written assignments and tasks, one-on-one tutorials, a reading list, and experiential tasks and practices. It is not too soon to state your interest or even contribute your thoughts for the design of the training which is really cutting edge. While many courses may be available on the internet, a training of this kind which traditionally relies on interpersonal group dynamics and interaction is rare and quite possibly unique. If you visit spiritual training group on this site you will get some of idea of the material we intend to cover in the training. Three articles have recently been published on this website, containing either new or revised information about Richard’s model of sacred-spiritual community. They are “The Arhat Project—a Proposal for a Residential Spiritual Community and an Experiment in Sacred Living,” “The Arhat Interview with Richard Harvey,” and “Follow-Up on the Arhat Project Proposal: the Deepest Compassion that has Always Existed in Humanity.” Also one further related article, “Human Awakening Groups: a Proposal for a Workshop for Psycho-Spiritual Practice, Ongoing Development, and Support,” has been published. For those of you who have been inspired by Arhat and expressed an interest in the Arhat initiative this information should be studied, understood and where appropriate responded to. I look forward to hearing from you via my contact form on this site. 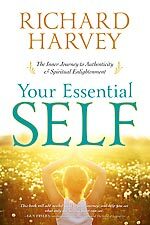 My latest book Your Essential Self: The Inner Journey to Authenticity and Spiritual Enlightenment was published on 8th July 2013 by US publishers Llewellyn Worldwide. This book is now available from Amazon - see Amazon.co.uk or Amazon.com. The competence and diligence of Llewellyn's editorial team helped me to produce a book on the Three Stages of Awakening that is at once complete and accessible. There are plentiful exercises and anecdotes to illustrate and vividly color the psychological and spiritual content. This book presents the central core of my thoughts and innovations over the last few years. Please see Your Essential Self for more details. The Arhat project is a Residential Spiritual Community Initiative and an Experiment in Sacred Living, based on my Three Stages of Awakening. “We need you. You need water… use your social media edifice to feast on humility and ask the universe for contributions towards a well.” – from a grateful friend. Your generous contributions bring us to permissions and the digging stage; thank you. There's still a long way to go. We have 3,125 Euros with 16,635 Euros to find! So, I need to appeal again to see if we can reach our target. Your donations enable us to proceed a step at a time. My PayPal account, accessed using pay online on my site, is a convenient way to achieve this and I thank you in advance for your consideration. To request full details please use our contact form. If you are interested in learning about how to support my work in other ways please see offer support. Guruji Aruneshvar had been extraordinarily forthcoming with endorsements and praise for my work (and suffering some wonderful criticism for it; one follower remarked in response to his accolades for me: “for sure he is a cow-eater!”) for which I am most grateful and fortunate. You can read Guruji’s testimonials here on the website in the right columns of Your Questions and The Location. Plans are in motion now to convert this body of work into a blog. So, for those of you who are interested in my writing, please review it in the present (old-fashioned) format of a group of articles before it is given the blog treatment and let me know if you find it an improvement. Finally, some people who are new to my work have expressed the need for direction in studying my approach and thought through my writings and courses. So I have given this consideration and I recommend starting lightly with the many, many pieces of writing (long and short) on my LinkedIn page and on my Facebook page. I suggest you then go on to the Articles page on this site, initially choosing the topics that draw you; then onto the Books page. Finally, check on the latest online course on my Calendar of Workshops and Courses to see if the topic focus attracts you. Begin with workshops and courses and work your way up toward longer ongoing courses. I will be offering a free talk entitled Awareness, Compassion and Transcendence to an international audience via a Skype conference call as my contribution to this wonderful initiative—the Worldwide Holistic Day (WHD). My talk will include a guided exercise—The Consciousness Practice—which can be used at any time, as a regular practice, in times of stress, illlness, emergency, or as a lifetime practice for re-centering and connecting with the essential center of your being, the source of life and the divine love within. Full details will are on my website, social media and newsletter. You may contact me if you would like to be added to my mailing or would like to participate on the day by sending a message to me from my contact form on this site. Lucrezia Pierro’s inspired vow to develop a network of healers to teach, heal and ease suffering worldwide in response to “the cry for healing” shows just the kind of expanded vision—beyond the boundaries of partisanship, nationalism, and self-interest—that we need more of to expand and develop a worldwide consciousness and to usher in a spiritual revolution of heartfelt caring and spiritual awakening for humanity. I encourage you to support Lucrezia and WHD by offering a free event or participating in one on 02 Oct 2012 (see the WHD website: http://lupierro.wordpress.com/). Let us join together as one family on the anniversary of Gandhi’s birthday, 2 Oct 2012, and give and receive for the benefit of all beings, all life and collective awakening. I am now offering an ongoing program of specifically themed lecture-seminars online, with one-to-one tuition and optional written assignments, experiential tasks and psycho-spiritual practices. The training takes place in small groups via Skype conference calls, individual calls, and email. See our courses and workshop calendar, and courses for deepening spirituality - the online courses are clearly marked. The next course that takes place is The Priorities of Transcendence - What is Absolutely Necessary for Human Awareness? This consists of three lecture seminars, the first on 1st August 2012. I appeared on The Light Within—Awakening The Inner Healer radio show on Monday 30th January 2012 on VoiceAmerica Variety Channel, hosted by Joan Jacobs. The show presents holistic approaches and methods of healing with the intention to inform, support and inspire listeners to create true wellness. To hear Joan Jacob's interview with Richard Harvey, go to The Light Within—Podcasts, hover over the podcast title “Connecting Psychotherapy”, dated 30th January 2012, and click the play button. In the meantime I have been in consultation with another top MBS publishing house and I am currently preparing a book entitled The Alphabet of Awareness for a new book proposal. 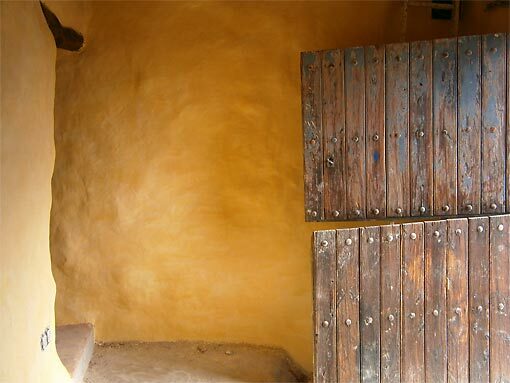 If you have visited Cortijo Llano de Manzano for a personal retreat, you will know that the accommodation and facilities have been spread across the yurt and the main house up to now. We have been building new accommodation to provide a double bedroom, shower and washroom, sitting room/kitchenette space with wood burner, as well as a private patio and garden for your personal retreat. The new accommodation is in an eco building, made of sustainable materials, and the work is being carried out with great care and diligence. It is in the old goat shed, a 200-year old natural stone building attached to the casita. The renovations include rendering the inner walls with lime and marble dust stained with natural earth pigments. The limecrete floor will be coated with Carnuba wax. Last year our local eco builders finished the natural hemp roof and a ceiling of chestnut wooden beams and caña.